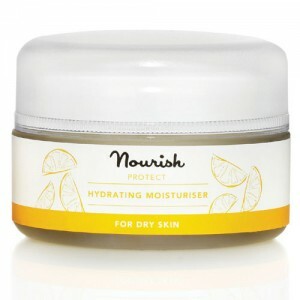 For dry skin. 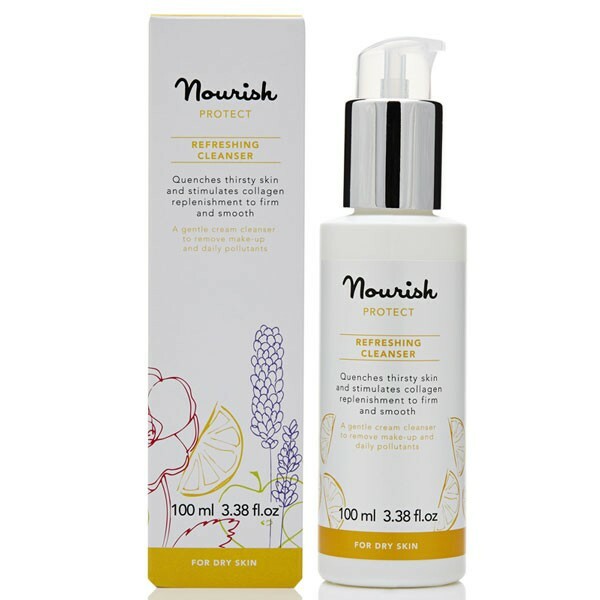 Nourish Protect Refreshing Cleanser is a gentle cream cleanser with a vitamin-rich trio of gentle fruit actives, to remove make-up and daily pollutants. Rich in antioxidants and ideal for dry skin, it is 94% Organic. 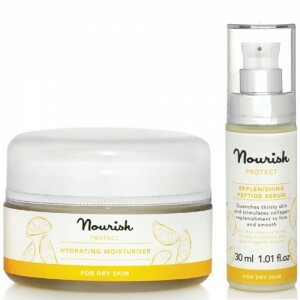 Nourish Protect Refreshing Cleanser quenches thirsty skin and stimulates collagen replenishment to firm and smooth the skin. Aqua (water), Citrus limonum (lemon) fruit powder*, Helianthus annuus (sunflower) seed oil*, Glycerin, Sodium levulinate, Levulinic acid, Cetearyl glucoside, Glyceryl sterate, Citrus sinensis (orange) peel oil expressed*, Cetearyl alcohol, Coco glucoside, Citrus nobilis (mandarin) peel oil expressed*, Potassium sorbate, Xanthan gum, Citral, Limonene, Linalool. *Certified organic. Naturally present in essential oils.